Fayuca. Photo by Christine McAvoy. Burdock & Co. Photo by Leila Kwok. Atmosphere is everything—and in a city with a dining scene as rich and diverse as Vancouver’s, a well-designed space can be just the thing to help intrigue discerning customers. By partnering with savvy design studios (in particular, Ste. Marie, whose vision has informed many local favourites), the city’s restaurants are setting the bar high with thoughtfully composed dining rooms, bars, and kitchens that capture the essence of the place, sating guests with a visual feast long before their food arrives. 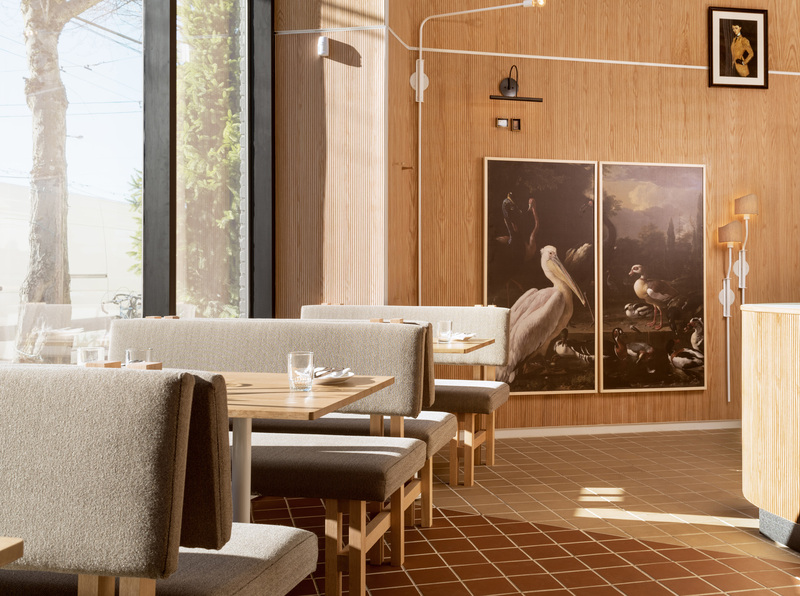 Here, we share some of Vancouver’s most beautifully designed restaurants. Torafuku – Located in a historic building on the edge of Chinatown, Torafuku (“lucky tiger” in Japanese) is a sleek and minimal contemporary pan-Asian eatery helmed by Vancouver-born chef Clement Chan. 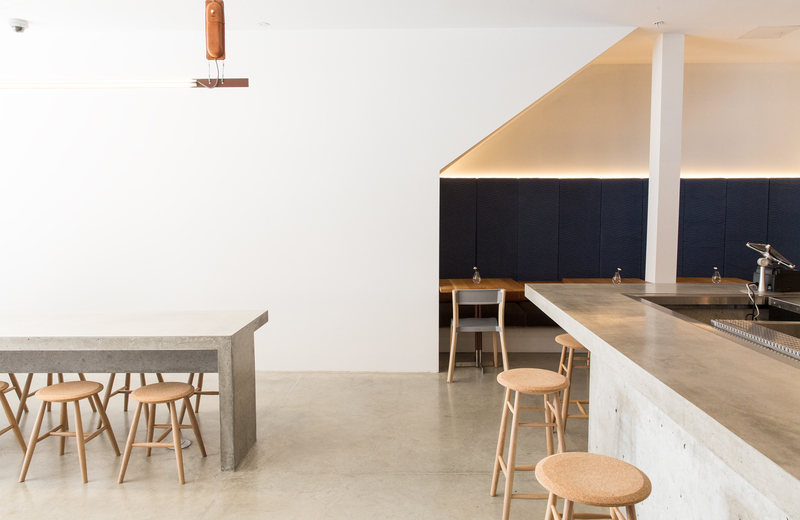 Local architects Scott and Scott favoured a utilitarian aesthetic with plenty of raw concrete, including a long cast communal table and kitchen bar, as well as quilted denim and wool wall panels that service both the decor and acoustics. Pop in to experience open-concept design at its finest. 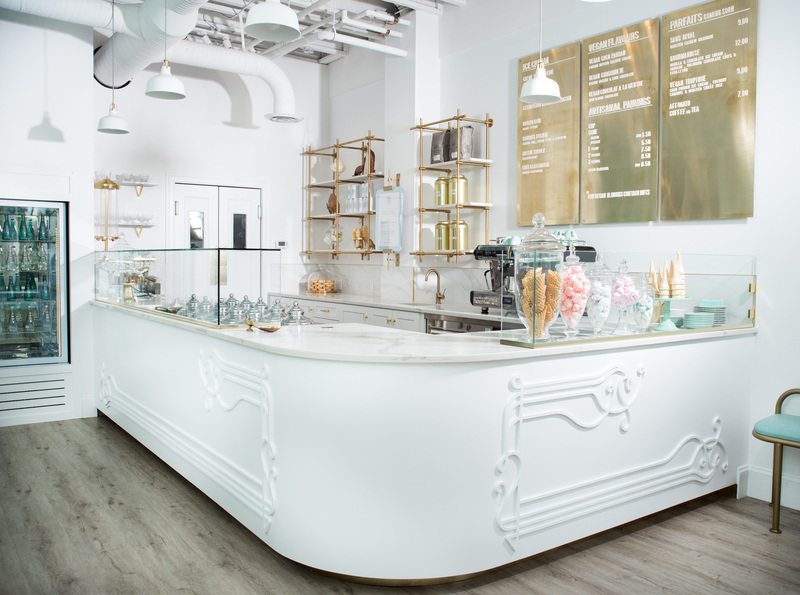 La Glace – Designer Margherita Porra of Arithmetic Creative kept the need to encourage interpersonal connection at the forefront of her mind while designing La Glace, a classic ice cream parlour gone art deco in shades of mint, gold, and ice blue. Curved seating brings patrons into proximity, while a hand-painted mural of peacocks creates a sense of grandeur. Prepare to feel a rush of sweetness before even ordering your cone. Kissa Tanto – A purple neon sign beckons passersby into the otherwise discreet Kissa Tanto, a Japanese-Italian restaurant tucked away on the second story of a building along Chinatown’s East Pender Street. Designed by Ste. Marie as an ode to Tokyo’s popular jazz cafes (or jazu kissa) of the 1960s, the space features sapphire blue and dusty rose banquettes, moody lighting, and a smooth soundtrack of jazz on vinyl. 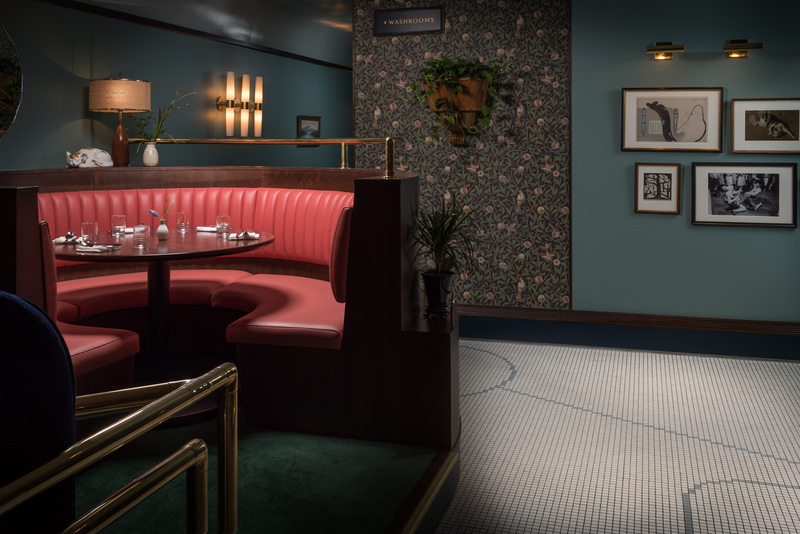 With an atmosphere both sultry and eccentric, this mid-century modern gem is sure to transport diners to another time. 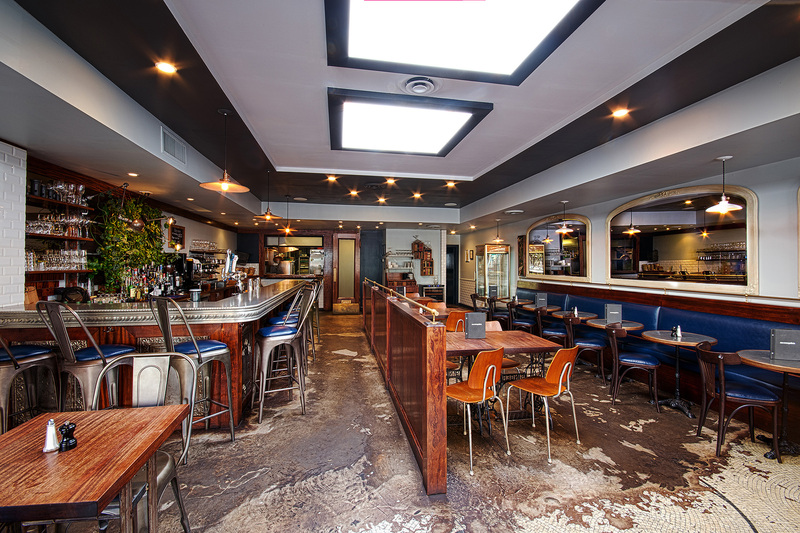 Savio Volpe – This modern tavern’s design comes courtesy of co-owner and designer Craig Stanghetta’s Ste. Marie design studio. Intending to evoke a Tolkien-esque atmosphere of coziness, Stanghetta worked against clichés of “cool” to create a space that is warm, sophisticated, and full of fun touches, from houndstooth check banquettes to a central, circular bar, Italian Modernist-inspired lighting, to an open kitchen with visible rotating spits festooned with crackling meats. The cute fox motif adds folkloric charm—think Aesop’s Fables meets a family dinner at home. 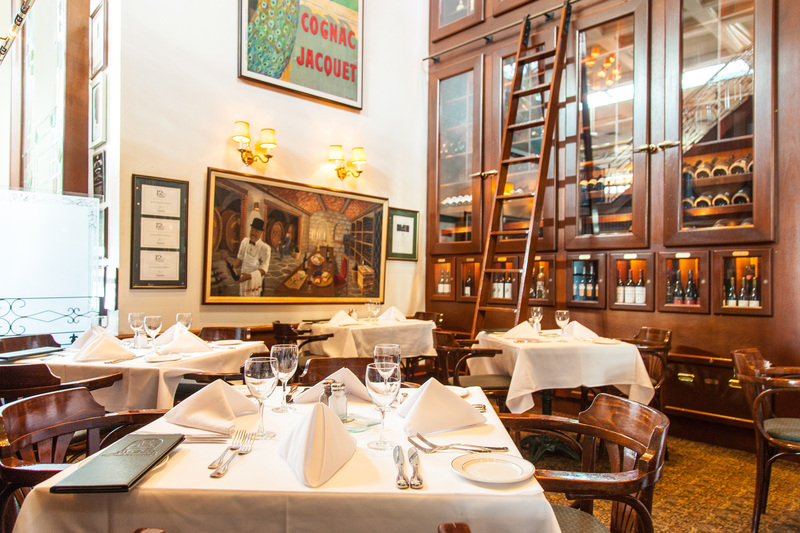 Joe Fortes – Designer Elaine Thorsell solidified her concept for American-style seafood and chop house Joe Fortes by visiting turn of the century saloons from San Francisco to New York, honing in on details like high ceilings, mahogany and brass, and balcony seating. At 30 years old, the restaurant’s horseshoe bar, leather booths, and rooftop garden feel as cool and cushy as ever. 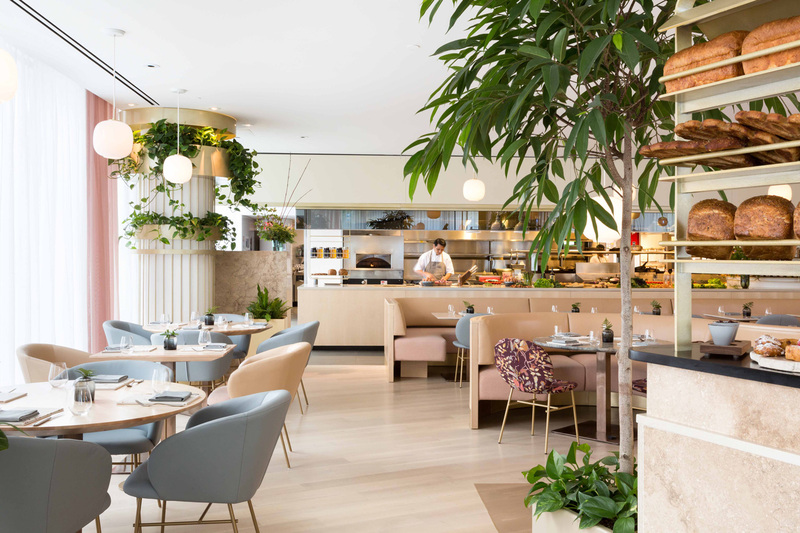 Botanist – The Fairmont Pacific Rim’s Botanist restaurant created quite the buzz when it opened last spring—not just for its sophisticated Pacific Northwestern dishes, but its lush and delicately pretty 5,000-square-foot space dreamed up by Ste. Marie design studio. Pastel pink and butterscotch benches play alongside boldly patterned upholstery, while sheer drapes cast a soft light over the dining room and its expanse of climbing vines, potted trees, and leafy ferns. A dining experience here is akin to eating in an ultra-refined conservatory. Fayuca – Northern Mexican restaurant Fayuca’s excellent, traditional yet inventive cuisine is matched by its decor. Designer Scott Cohen triumphed in creating a truly distinct atmosphere by combining eclectic elements—mirrors, terracotta, handmade wicker bar stools and lamp shades, yellow cedar tables, a thatched ceiling—in a contemporary way. 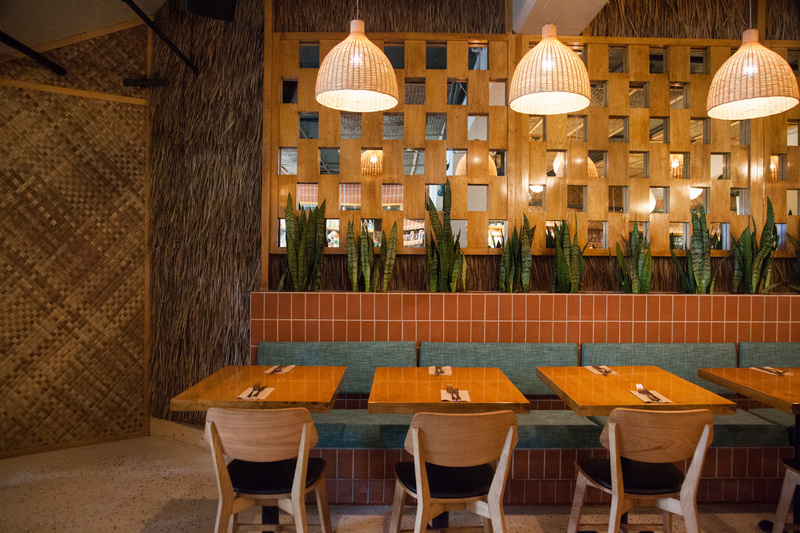 A cool terrazzo floor and plenty of snake plants tie the scene together—this is not your average taco joint. 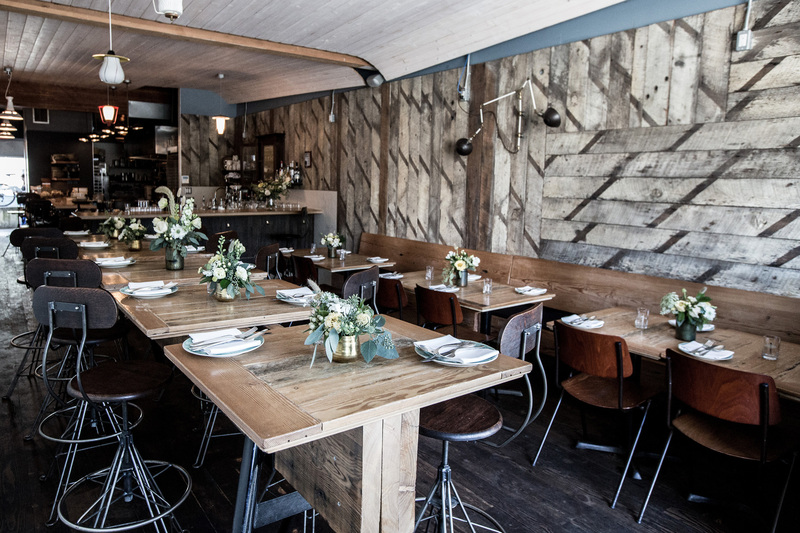 Burdock & Co. – The meals chef Andrea Carlson serves at Burdock & Co. are at once earthy and luxurious, using local ingredients to celebrate what Vancouver has to offer. The restaurant’s design, overseen by architect Kevin Bismanis, Carlson’s partner in business and life, is similar in locavore spirit. Old-growth fir tabletops and ceiling beams were salvaged from a 1911 Vancouver firehall, the bar is repurposed material from what was once the stage at the Queen Elizabeth Theatre. Overall the effect is comfortably sophisticated and perfectly reflective of the city itself. St. Lawrence – St. Lawrence, chef J.C. Poirier’s cozy nook of Quebec-inspired French cuisine, brings old-world charm to the Railtown neighbourhood. Ste. Marie dressed the 45-seat space in rich blue tones and dark walnut tables, adorning the washed green walls with oil paintings and antique curios. Spot the fleur-de-lis on menus and wall hangings, incorporated throughout the decor for a subtle Quebecois flair. Romantic and intimate, St. Lawrence is a masterful display of refined rural style. 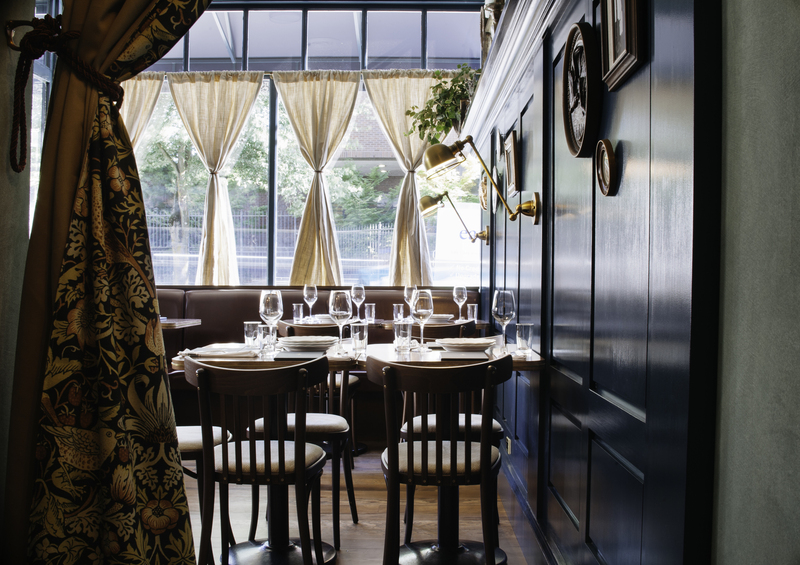 Au Comptoir – Owners Julien Aubin and Maxime Bettili’s brasserie is Parisian without being parodic. Approachable yet luxe, the space is anchored by a custom-made tin bar imported from France and a floor of distressed mosaic tiles. Along one side of the room, patrons nearly bump elbows at intimate café tables, along the other a living wall sprouts herbs. Large windows are for ideal people watching down 4th Avenue, and details like brass railings and a retro rotating dessert cabinet add je ne sais quoi.